If there is a sudden change in the way you interact socially with people, especially with the family and friends, it may be time to wonder why. 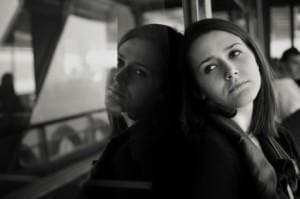 Experts say that avoiding people, even those close to you, may be an indication of depression. This becomes worse if in avoiding people or in dealing with people, your job or daily routine is negatively impacted. While there are times that we can be edgy or having difficulty relaxing, when this becomes a regular occurrence, this may be a symptom of anxiety. This is especially true when the inability to relax is due to a reason that is not valid one. When accompanied with physical symptoms such as headaches, body pains, and stomach problems, it may be the best time to see a mental health provider. If you used to be a jolly person and now find yourself getting angry at a slight provocation and always getting into an argument with almost anyone, this could be a strong indication of emotional or mental concerns. This can be due to anxiety or depression. This should be distinguished from those normal mood swings or minor flare ups that people may encounter from time to time. You should start wondering when you seem to have a short fuse even when dealing with your small children and the other loved ones. This overeating should not be confused with the eating binge during holidays or other occasions. This overeating has become long term and is geared towards foods high in fat and sugar. On the other hand, you may have lost entirely your appetite to eat. Loss of the desire for food has traditionally been associated with long-term stress. Whatever the case may be, these indications may need to be attended properly. If your sleep problems are not due to physical conditions after being evaluated by a competent doctor, then emotional or mental factors should be considered. You may notice that your sleeping patterns have changed drastically and have affected your daily life such as performance in work or doing your daily chores in the house. If your sleep problems continue for a substantial period, it will not hurt seeking therapy for this. It has been shown that mental problems such as anxiety and depression may tend to get worse when not properly treated and may worsen the person’s quality of life. Those encountering the symptoms mentioned above are encouraged to see a therapist as soon as possible. A lot of people have experienced a more meaningful life when these concerns are addressed accordingly.